I sang her Happy Birthday snuggled in my bed and she had the biggest smile on her face while I had tears starting to stream down my face. She is the sweetest little something sweet I have ever seen. She wanted her new favorite orange mini muffins from Jack in the Box for breakfast and I was not about to say no to the birthday girl ;) I told her she could go to Target and pick anything out she wanted and her reply was, "Mama, I want to pick something out for Aden!" On the days you think you just can't do it for another five minutes, remember these moments of pure sweetness! She picked out Pocahontas and a fire truck for Aden. We came home and played hungry hippos where Aden kept grabbing all of the marbles and putting them under Bottomless Potamus. Playing Operation (the minions one, which is my new favorite) with Adie and Aden as filled with so many laughs and trying to convince Aden it was our turn. We ate Chick-fil-A for lunch with frosted lemonades and Eric took Adie to the pool while Aden took his nap. Ended the night with Cafe Rio and singing Happy Birthday, blowing candles out on her favorite cupcake! 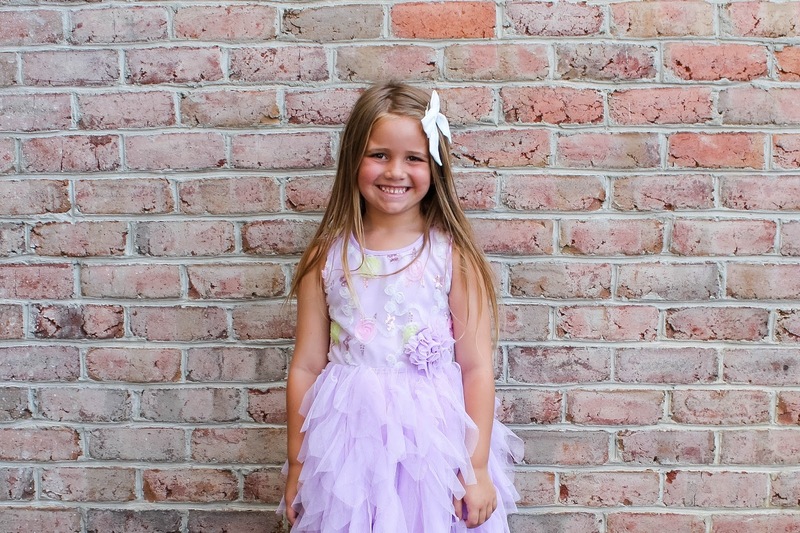 + five things about her, on her fifth birthday. 1. She has the biggest heart and loves the crap out of her brother. She is always thinking of others and nothing is better than when she makes you comfy with her little soft blankets. She really just loves with her whole little five year old heart. 2. She will scribble out on plain paper a song then perform it for all of us to listen! She can put together a song from palm trees to her painted toes. + she will sing about how much she loves her little brother. I am always blown away by her songs and even more so how she knows how to throw in a little movement to make it completely entertaining. 3. She loves a good sunny day at the pool. She has always been a little water girl and she has the tan lines to prove it. She can cannonball better than anybody I know and I don't even know how she learned it. She is always trying to beat her record of holding her breath under water. One day she told me she just wanted to lay in the sun and relax and I just about died. 4. She is always up for something fun, which for her is: getting cupcakes, shopping for shoes, picking out the best watermelon and even painting her nails is so exciting. She is so excited to be going to Grandma Cupcakes for a sleepover that's all she has been talking about. Having ice cream in the middle of the day really rocks her world! 5. Her imagination is magical which will take her places one day. She is always creating little stories in her head and when she catches me watching her she just giggles and tells me to stop :) but its one of my favorite things about her! She drew the best unicorn I have ever seen and I was face-timing everyone we know so I could show them. It's like my favorite thing ever. Her drawings really can tell a story and show how she sees the world ... you can tell she really believes in magic. The other day I got a glimpse of her little baby self and it tugged at my Mama heart. These five years have gone so fast and now she is my little best friend who loves a good girls day! She will always be my sweet baby, she made me a Mommy and we just love her little guts! May all of your five year old wishes come true because you deserve it! I love your little guts tot he moon and back for forever!